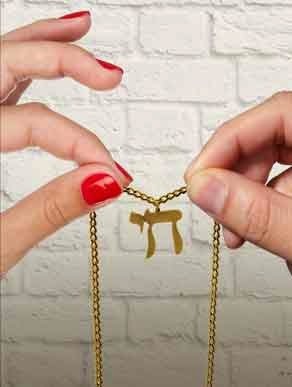 You don't have to be Jewish to love "Bad Jews," which has been extended through October 19 at Magic Theatre. But if you are, the themes, body language, vocal gymnastics and cringe-invoking dialogue will make you remember the joy of driving three hours in traffic to get to Passover at your Uncle Max's. Every culture has rituals about death. Families gather to honor the deceased but eventually it all comes down to who gets the treasured remains. Author Joshua Harmon has clearly been here before. Two strong-willed cousins, Dapha and Liam, whose names suggest their contradictory views about their heritage, are battling over their late grandfather Poppy's chai, a pendant he has carried with him his entire life, including several years in a concentration camp. Daphna, whose name is really Diane, considers herself the only grandchild who cares about her religion, while Liam is running as fast as he can in the opposite direction. But he has the chai and Daphna wants it. Rebecca Benhayon as Daphna is the brilliant non-stop-talker who listens only long enough to gather ammunition with which to skewer everyone else in the room. Max Rosenak's Liam is the male equivalent of Daphna -- cruel, self-centered and equally brilliant. These two want what they want, while Liam's brother Jonah (Kenny Toll) and Liam's fiancee Melody (Riley Krull) are trying desperately to stay out of the way. But you can't do that when you're all trapped in a tiny upper-westside NY studio apartment whose major attraction seems to be a view of the Hudson from the bathroom window. The erstwhile battle over the chai carries with it even more claustrophobic angst inside this cramped space that the three grandchildren and one girlfriend are forced to share. Oi, can they rant! Melody has no idea what she has walked into. (Her hysterical rendition of "Summertime" does not help.) Daphna's attempted destruction of Melody, and Liam's of Daphna, as beautifully written and performed as they are, come down in the end neither to right, nor wrong, but to the pull of tradition. Tradition! We would have loved to hear Melody sing that one. The San Francisco Theater Blog Awards Division awards "Bad Jews" Four Stars with a Shmear. The Shmear, temporarily replacing SFTB's normal BANGLE OF PRAISE is, strangely enough, for the sense of togetherness to which these dysfunctional characters bring us. If they didn't kill each other, we might not either. If being Jewish means using words as clubs, maybe guns we don't need? Sense, does any of this make? Can you end a review with a question mark? Stephen Sondheim allows tinkering with the settings of his stories, as long as you don't change a word or a note of melody. This time, Robert Kelley and Theatreworks have set the show during the blitz at the beginning of World War II and the action opens in a factory being used as a bomb shelter. But time and place matter little. The story is right out of Shakespeare: revenge driving a man to madness, with everyone ending up lying in a pile on the stage. Andrea Bechert's abandoned factory leading to a subway station grabs our attention right away. 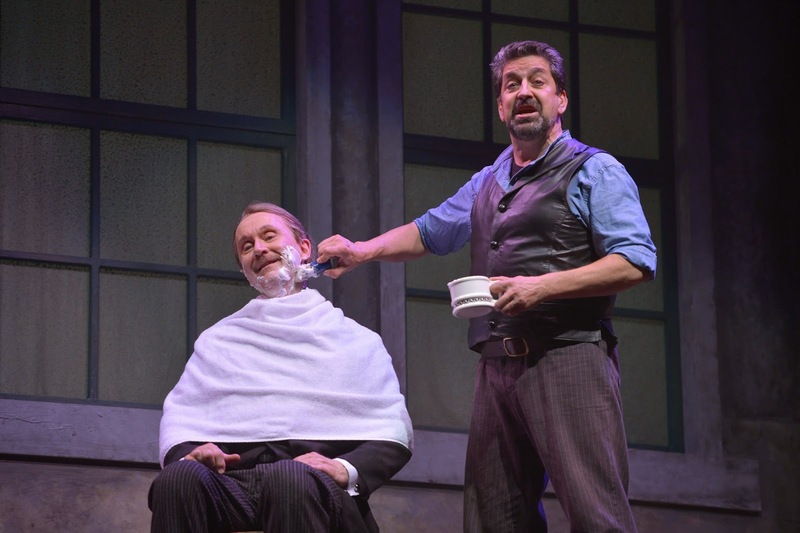 In walk David Studwell as Sweeney Todd and Jack Mosbacher as Anthony Hope. The cast follows and we hear one of the great Broadway Opening Numbers: "The Ballad of Sweeney Todd." Reprised over and again with additional lyrics, this is the show's musical glue, the tune we are humming not only as we walk out of the theater but the next morning as well. 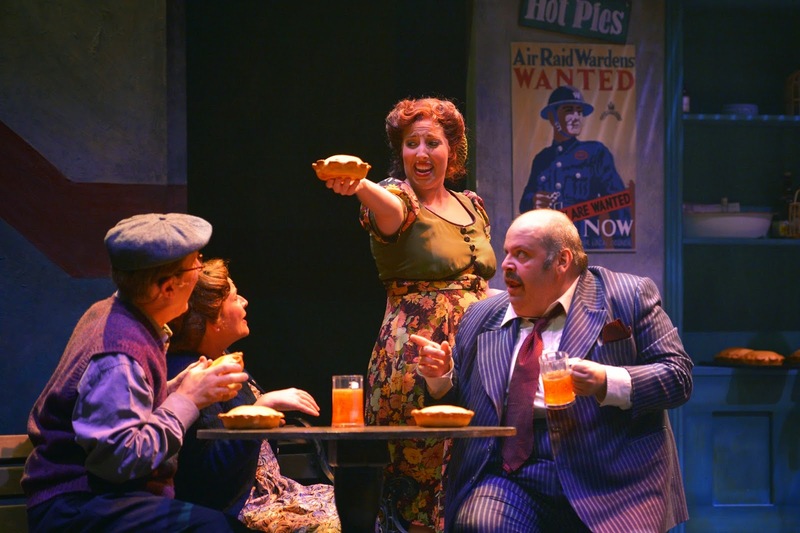 There are many other standout numbers, including Mrs. Lovett (Tory Ross) singing "The Worst Pies in London," Anthony Hope's ballad "Johanna" and the hi-jinx of "A Little Priest," sung by an ebullient Sweeney and Mrs. Lovett as they realize just how successful their little venture might become. Yes, the song "Johanna" and the balcony scene in which it is set rips off West Side Story; yes, close your eyes and the music and long cadences of lyrics might make you think you're listening to "Into the Woods," but in all fairness Sondheim is usually stealing from himself. Think of it as a compliment. 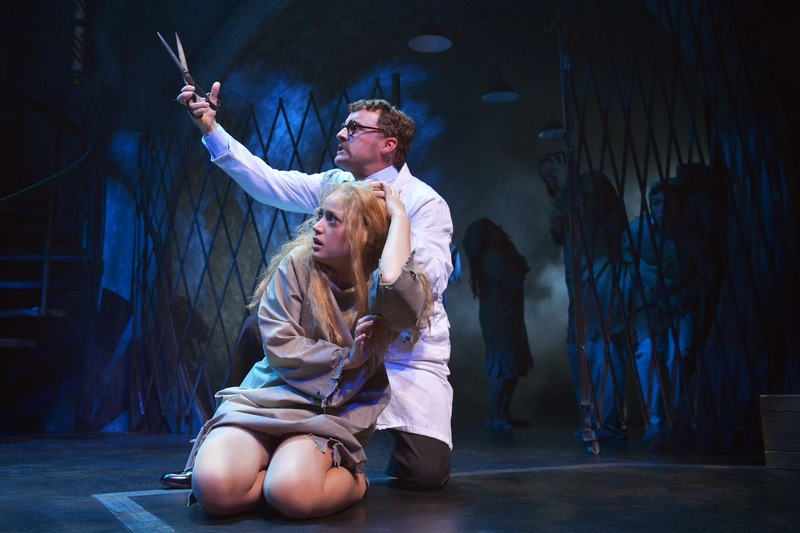 The San Francisco Theater Blog Awards Division awards "Sweeney Todd" Four Stars with a BANGLE OF PRAISE. 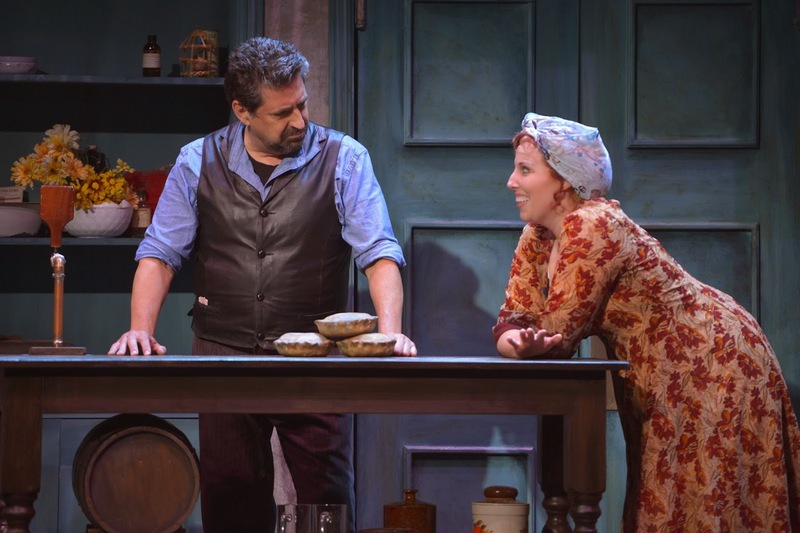 Writing, acting and singing deserve one star each, with the last star for Robert Kelley's faultless direction and staging (this is a Broadway production done successfully on a smaller stage). The BANGLE goes to Beadle Bamford, played by Martin Rojas Deitrich, whose body does not prepare you for the magnificent lyrical tenor emanating from it. We loved meeting the Beadle. You've got a playwright, actors, set designer, costumer, lighting engineer, sound engineer, musicians, composer, lyricist, director and producer, plus it's live every night and anything can happen. Live theater is an adventure. There's nothing else like it. 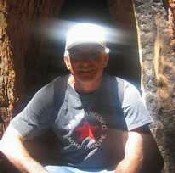 As a reviewer, I'm like everyone else: I want to see the light. I want to be lifted out of my seat and into the world of the performance. When the new 'My Fair Lady' comes along I want to rush out and tell you about it. When the show comes up short, I want to figure out why. In San Francisco, we are blessed with world-class premiere houses, astonishingly good local companies and excellent regional theater. But theater tickets cost real money. I want you to feel a little more secure before you punch BUY. Our Ratings System has been revamped! Half Stars have been eliminated. Capitalized BANGLES of PRAISE and italicized baubles of despair take their place. BANGLES are good, and the more the merrier. A ☼ ☼ ☼ BANG BANG rating is better than a ☼ ☼ ☼ BANG rating. baubles are bad. A ☼ ☼ ☼ baub baub rating is worse than a ☼ ☼ ☼ baub rating. A ☼ ☼ ☼ baub would drop the show below ☼ ☼ ☼, which is the coveted Julie Andrews Line. Below the Julie Andrews Line we recommend you do not spend your Do, Re or Mi. Note that using this system, a ☼ ☼ BANG is roughly the same as a ☼ ☼ ☼ baub. Neither would be recommended. A ☼ ☼ ☼ show must have something excellent about it, and it has to involve the story. Great acting helps, terrific staging too. But it's got to be in the writing and the actors have to bring the story alive. It can be big or small, short or long. Just don't bore us. If you do: No Julie Andrews. ☼ ☼ ☼ ☼ are rare. For a show to earn this rating, it must not only be very good but it must also move us. We need to grow during those two acts plus intermission and we need to be surprised. The author must make us go "AH-HAH! THAT'S what he was getting at!" He must tell a perfect story and the actors must deliver. Uproarious, drooling laughter will always help. Deadening angst plus hopeless and depressing poverty makes it harder. ☼ ☼ ☼ ☼ ☼ are practically impossible. They probably need to involve amazing music and a set you can't take your eyes off in addition to everything else that makes up a Four Star production. In Plotnik's 10 years of reviewing theater in the Bay Area, he has given ☼ ☼ ☼ ☼ ☼ to only one show: Jersey Boys. And it didn't hurt that Frankie Valli was in the audience on Opening Night and tottered up onto stage to hug the actor portraying him. We hope our NEW IMPROVED awards system adds to your enjoyments. Please contact me if you feel I have forgotten something obvious. I am in Spain, where it is raining. <¿> Something incomprehensible, where you scratch your chin and go "Waa-huhhh?" L-R Special category for David Mamet and Sam Shepard plays. Amount of times you squirm in your seat.